If you’re not sure why Patreon has become so important to me, you can read all about that here. Yeah. That was depressing, wasn’t it? So let me try to cheer you up with the rewards my Patrons will receive this month. Chapter 4 of the first draft for a sequel to Slaves of the Switchboard of Doom. Friends, co-workers, and neighbors; also the second thing that broke the book. 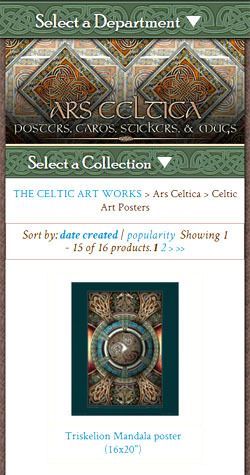 Two print-resolution Celtic knotwork borders at greeting card size, with transparent areas inside the borders. If you have image editing software you can place your own picture or message inside the border. 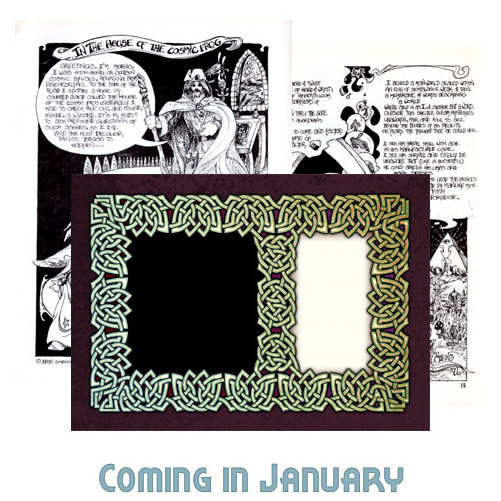 In the House of the Cosmic Frog is an illustrated poem from my summer of 1976. It’s difficult to describe. Another “Morno” piece. Apart from my own distribution of copies it was published the next year in Greg Stafford’s Wyrd #7, published by (or at) Chaosium. The Western Institute of Muchness is my memory of a strange thing I found while I was walking down the street in 1974 or so. I’ve never forgotten it. I’m so glad it existed. Let me tell you what it was. 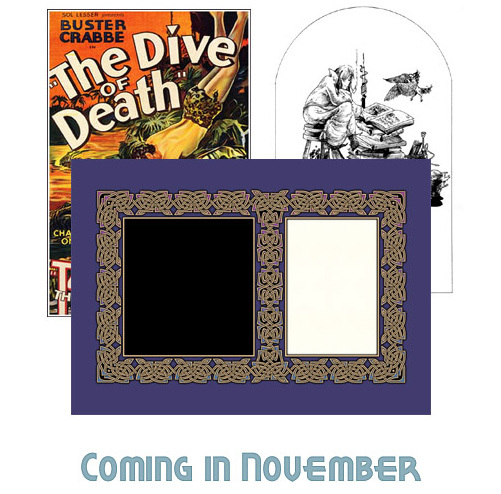 So, as always, $15 patrons will see something every week while the rest will see one, two, or three updates. I hope you enjoy them! Englyn is an illustrated poem from Runestaff #28, in 1984. The title’s unimaginative: this is a poem in the ancient Welsh verse form called “englyn”. But it always knows who it is. The first draft for Chapter 3 of a sequel to Slaves of the Switchboard of Doom. First drafts are things of horror. Let me share my horror with you. Adventures in Corporate Logic: Electronic Arts, ca. 1991 recalls some of the challenges I faced with a friend of mine while we dealt with a major corporation. We did okay, considering. 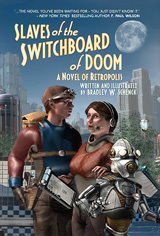 Much to my own surprise – in my capacity as The Guy Who Sees the Sales Numbers – Tor Books will release the trade paperback edition of my Slaves of the Switchboard Of Doom tomorrow. It’s up on Amazon already with a preorder price of $10.99. They sent me a few copies last week, so I can tell you they’ve done a pretty good job on this less prestigious edition. You (naturally) lose the wraparound dust jacket, and you get just 50% of the endpaper art. I was curious about how they’d handle that: you seldom see a trade paperback with printing on the inside covers. The way they approached it was to keep the side of each endpaper that features the book title, and although that means some important character vignettes are missing it’s probably as good a solution as any. Those characters are more likely to show up in the other illustrations anyway, I guess. Still, it’s worth mentioning that the hardcover price is dropping with the new edition’s release. In hardcover the book has lovely, heavy paper, the ends of the cover art, and the complete endpapers. The hardcover would still be my first choice. But whichever edition you choose, Slaves of the Switchboard Of Doom stands ready to serve all your humorous, retrofuturistic needs. There’s the eBook version too, of course. I assume its price will drop once the paperback is released tomorrow, but I don’t know by how much, or when. The world is just chock full of things I don’t know. You get used to it. Chapter 2 of the first draft for a sequel to Slaves of the Switchboard of Doom. We’ll find out what’s put Dash into such a terrible state, meet some old friends (and some new ones) and learn how Nola’s career is looking up, apart from the explosions. 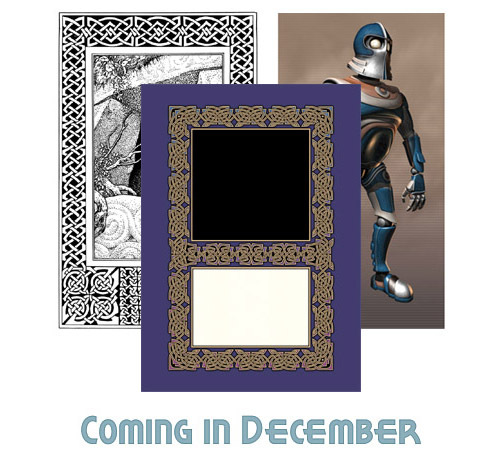 Note: Because of the way I’m alternating Celtic and fantasy art and writing with their Retropolitan counterparts, $5 backers are only getting three of the six chapters. It’s weird. The Technique of Theodoris is a short story with a title illustration from around 1978. It’s work I signed with my Morno signature; and I have a few words to say about Morno, too. The Dive of Death remembers how I was warned about a bar in town and never went there, then warned other people not to go… without actually knowing whether the stories were true. That’s a strange thing to do. 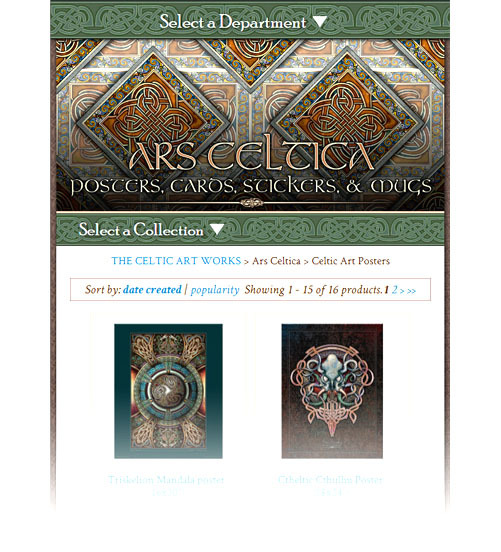 Having finished the redesign for my Retropolis site, it was much simpler to make the same changes to The Celtic Art Works. The two shops are built in a similar way: for the most part I’d solved all the problems already. Okay, they’re not exactly the same. I had several surprises along the way. Still, this shop took about half as much time as the first one. When I posted about the Retropolis redesign I described it as “phone-friendly”, but I never explained what I meant by that. It seemed ridiculous to maintain two separate versions of these shops, one for desktops and one for smaller displays. I’ve always thought that was a pretty terrible solution. 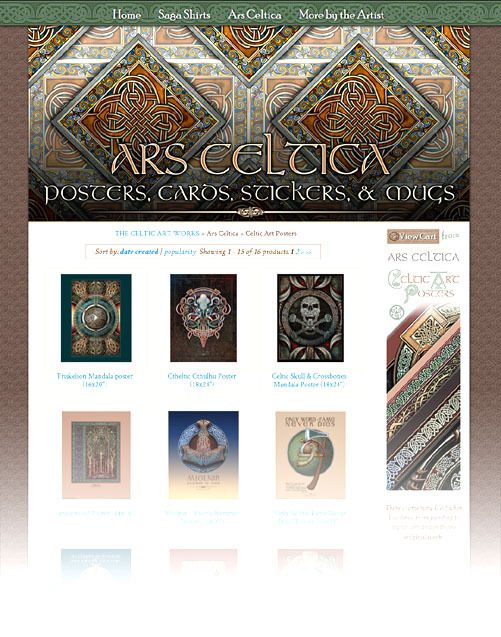 If you view either site on a desktop computer you can see what I’ve done by resizing your browser window, from full screen to just under 400 pixels wide. You can use CSS to wrap the elements differently at different widths, but there are design limits when you rely on CSS alone. So I made things a bit more complicated. Because I can make different changes at a variety of widths I’m able to get a pretty good looking layout at almost any size. The redesign has a problem with wide left-side content when the sidebar’s visible. So on a few pages I’ve always hidden the sidebar and revealed the lower copy. Anyway, as I said you can play around with this by resizing your computer’s browser window. I can’t promise hours of fun, but it may be kind of interesting to see the layout change at different widths. Oh! And consider buying something while you’re there, right?